ORI MARTIN is a modern and dynamic steel mill, based on over 80 years of deep-rooted and solid tradition and experience, and today is still committed to the production of special engineering steels to supply to the automotive and mechanical industry. ORI Martin Group is specialized in high quality long products steel production. The special steel unit is situated in Brescia where produces continuous casting billets and wire rod, bars and bars in coils for special applications in the automotive and mechanical industry. Ori Martin care as much for the external environment as for the internal one, and have always considered this as an important part of the company’s mission. 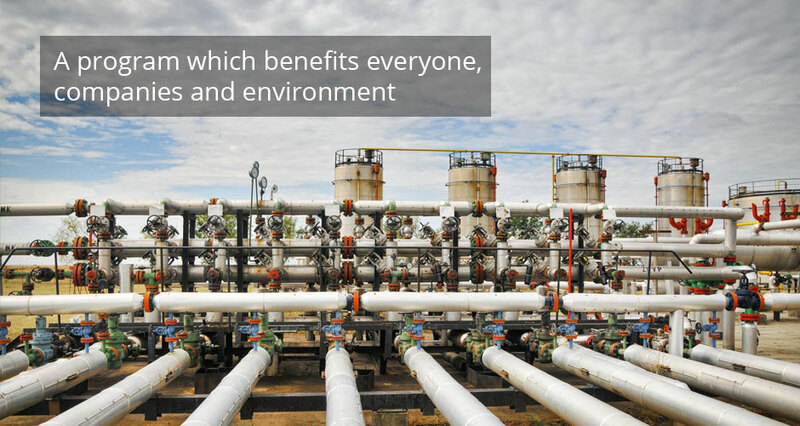 For this reason they are following an internal policy for the reduction of any external environmental impact. This policy has been followed with investments linked with the protection of the environment of about 20% of the total investments of the last years. Among these, the last in chronological order, is the installation of the I-Recovery System® system to recover heat from the smelting furnace and transform it into steam for district heating and electricity. 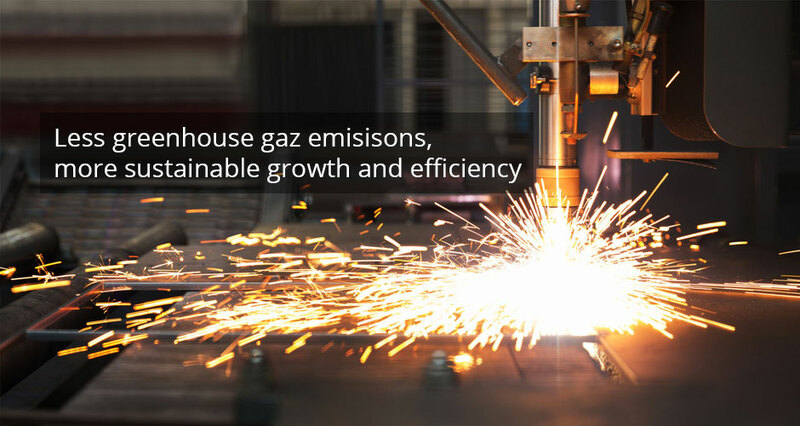 In the frame of the European funded PITAGORAS project (FP7, Smart Cities Programme) a real scale pilot plant for waste heat recovery from fumes of an Electric Arc Furnace (EAF) in a steel mill has been designed and planned. Waste heat is used to produce steam in a Waste Heat Recovery Unit (WHRU), which is then used for two different purposes: the steam goes through heat exchangers to deliver heat to the district heating network (winter time) or feeds the ORC unit to produce electricity (summer time). 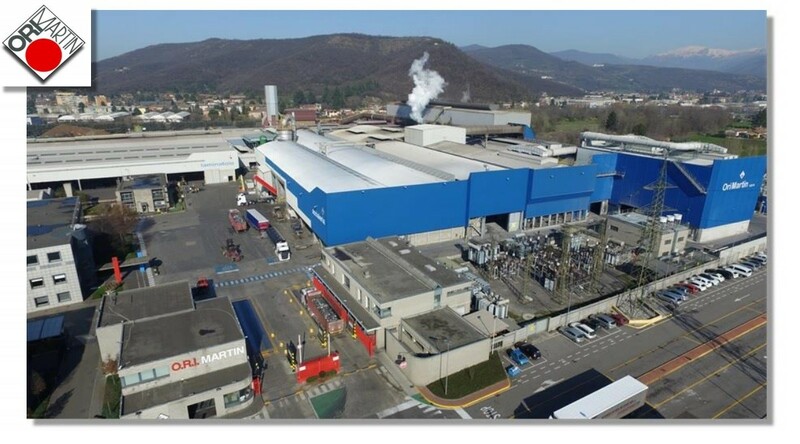 A waste heat recovery plant has been developed for a still mill owned by ORI MARTIN and located in Brescia (Italy), to recover the waste heat form the fumes coming from the Electric Arc Furnace (EAF). A 10 MWth Waste Heat recovery Unit has been developed in order to produce saturated steam from the flue gases. The thermal energy produced is stored in a Steam Accumulator, which enables a stable heat and electricity production although the highly discontinuous operation of the EAF. The steam can be used for heat production and supply to the city district heating network by means of steam/water heat exchangers (10MWth) or to feed the ORC unit to produce electricity (1,8MWe), which is the operation strategy followed in summer time. The thermal energy production expected is around 26.500MWh/year and electricity generation of around 4.200MWh/year which will be used for self-consumption.